It’s that time again! In partnership with the Westboro Community Association, our community garage sale returns this year! Sell your wares (no baked goods, please) and meet your neighbours, in the area around our wading pool. Tables are now available for rent in person, by phone (613-798-8950 ext. 0) or online (here). 100in1Day: HUG A WESTBORO TREE! Sadly, over the last five years, Westboro has lost much of its beautiful tree canopy to infill construction. Let’s come together on June 2 to show how much we love our urban forest! Join the Westboro Community Association at its tree-hugging station at the annual Wild Wild Westboro Garage Sale. Hug a tree, snap a pic, and learn about the valuable contribution that trees make to our communities and our economy. 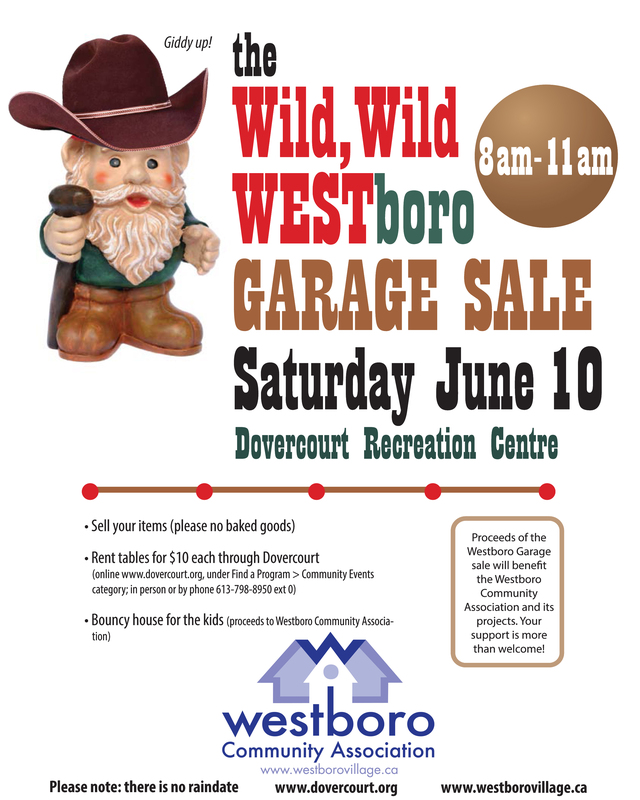 Our Wild Wild WESTboro Garage Sale is happening June 10th. Book your table now and help support your community association. To reserve your table for a mere $10, please visit: www.dovercourt.org. Under “Find a Program” select “Community Events” and from there you and choose your table. 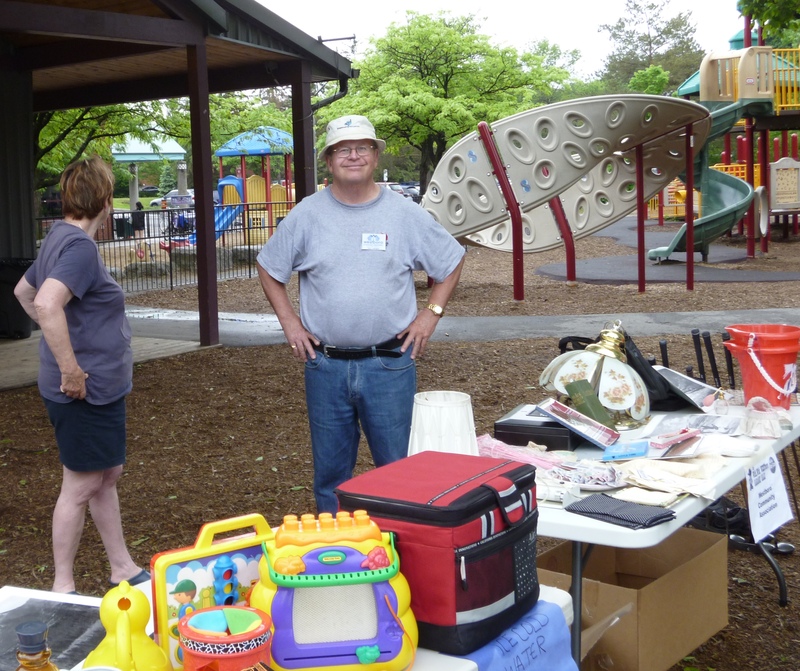 Wild Wild Westboro Garage Sale – Thanks from the WCA! Big thanks from the WCA to all the vendors, bargain hunters and especially Dovercourt for bringing the community together this past Saturday morning. Yeehaw, it’s that time of year again! 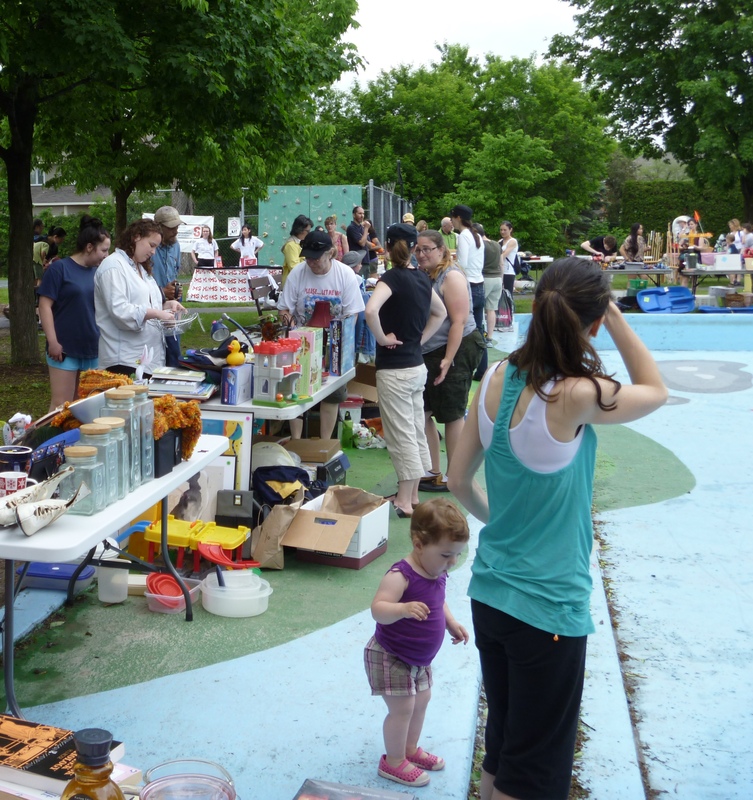 Whether you are buying or selling treasures, it’s a fun time outside with your friends and neighbours, gathered ’round the Dovercourt Wading pool area on June 1st between 8-11am. Tables are available to rent for $10 from Dovercourt and can be booked online, in person or by phone (613-798-8950 ext. 227). See the table map to choose your table number before registering. To register online, see the Garage Sale listing under “Community Events” on Dovercourt’s online registration website. Please note that there is NO rain date (Table rentals will be refunded if it is rained out). Come on down, ya hear!